The Giro kicks off with a short and complex time trial stage through the streets of Jerusalem. Starting and finishing not far from Jaffa Gate and the Old City, the route features a constantly undulating course with many twists and turns, and three categorized climbs. The course will test each rider’s ability to maintain a high speed through corners and tight streets. Expect a pure time trialist or power rider to capture the win. Erasing any doubt about his form, Tom Dumoulin won stage 1 of the Giro d’Italia, taking the race’s first pink jersey in Jerusalem Friday. 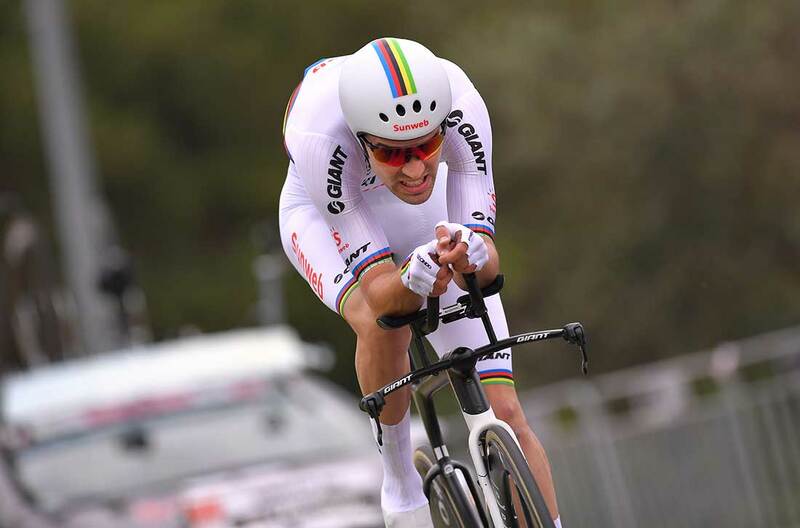 The world time trial champion started last in the order as defending champion. With a thin race resume so far in 2018, it was unsure what Sunweb’s Dutch leader could do in the Giro. However, he proved himself in the opening 9.7km time trial, beating Rohan Dennis (BMC) by two seconds. Victor Campenaerts (Lotto Fix All) was third. “I knew I felt good the last days, but then in the race, you still have to see how it is,” Dumoulin said. 3. Victor Campenaerts (Lotto Fix All), s.t. Dennis started early in the start order and was comfortable in the hot seat for much of the day. Only Campenaerts came close to the former world hour record holder’s time, 12:04. Along the way, the other GC riders had mixed fortunes. Simon Yates (Mitchelton-Scott) ended the day seventh, 20 seconds slower than Dumoulin. Thibaut Pinot (Groupama-FDJ) ceded 33 seconds. Fabio Aru (UAE Team Emirates) was well behind, 50 seconds slower than the winner. He explained that the technical circuit forced him to ride conservatively. “Honestly, I didn’t want to take any risks because I’d seen the circuit was dangerous,” said Aru. Sky’s Chris Froome put in perhaps the most disappointing ride of the day. He could only manage 21st, 37 seconds slower. Froome crashed during warm-up, which might have affected his ride. Dumoulin, on the other hand, had a flawless day, and he said the course really suited him. 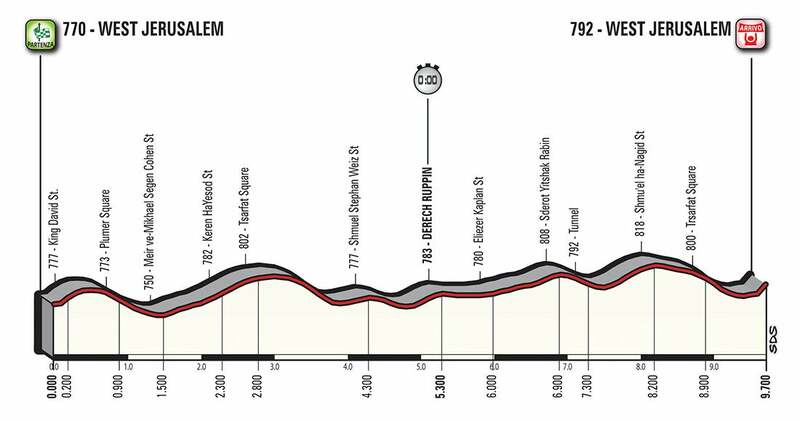 Stage 2 will be a 167km ride from Haifa to Tel Aviv, which looks to be a day for the sprinters. Although Dumoulin should be able to hold pink, he said after stage 1 that his team is not planning on defending the overall lead every day of the 21-stage race. The Giro returns to Italy after a third stage in Israel Sunday.